Purchasing your first suit can always be a challenge. Or maybe you already have some suits in your closet but you feel you need to up your style game. You want to buy that perfect suit! Before you do that, you have to learn about the basics, the details, the fit and so on. But, you don't know where to begin and how to go about it. If you are looking to make an impression in a suit (who isn't? ), then owning that perfect suit is a must. You OWN it, when you KNOW it! Suit Buying Journey: Where to Begin? There are many questions that need to be answered in the quest for that perfect suit. Should you buy a readymade suit or go custom?...What can be fixed by a tailor if you choose to buy off the rack?...How to choose a Suit for your body type?...What are the details you should focus on?...How to choose a suit color?...How to ensure that the suit you buy, is versatile? Do you know that the color/pattern, the fabric used and the suit details can individually, make it less or more formal? What makes a suit more formal, less formal or completely casual? But the biggest one is - where to begin? There are thousands and thousands of articles about suits. In that vast amount of information, some is very useful, some is good to know and some can be ignored. This guide is broken down in 10 steps (chapters) and is designed to help you begin your journey and give you a direction to move forward. You learn everything in order, step by step. It will help you to go for that purchase, like a boss! Once you know all the details of the suit and nail that fit..there is no stopping you from making an impression! Which means more compliments, more chances of closing that deal or simply feeling more confident. We start this guide with the most basic information about the suit, its components and basic terminology. If you are new to the world of suits or just want to brush up the basics, this chapter contains essential info that should not be skipped! Basically, a men's suit is a jacket and trousers that are intended to be worn together, made from the same material and are of the same cut (The cut of a suit is a product of two elements: the overall silhouette and the particular proportions of the man who will be wearing it). If the suit is just jacket and pants, its a 2 pc suit. If we add the waistcoat to the attire, it becomes a 3 pc suit. A Suit Jacket is the most formal of the three. It has a matching pair of trousers in the same color. The suit jacket and trousers will always be made from same exact fabric as well. It does not have a matching pair of trousers. It usually has buttons made of metal. Most commonly found in solid navy or bottle green - hopsack or serge fabric. Patterned fabrics are usually used by universities or clubs. In that case, they will have a crest or insignia embroidered on the left chest. Sport Coats are the least formal and were used by sportsmen or as hunting attire or for horseback riding. Most commonly are made from heavier fabrics and are more likely to be in a pattern. However, solids are also the norm these days. What is a Waistcoat or a Vest? The term waistcoat refers to a sleeveless garment that covers a man's waist, hiding the top of the trousers and the bottom of the shirt. In a vested or 3 pc suit, the waistcoat is made from the same fabric and lining as the rest of the suit. Armed with the basic knowledge of suits, we dive into the details. Suit details, also known as trimmings are covered in this chapter. We look into each component deeply and increase our understanding of the suit. 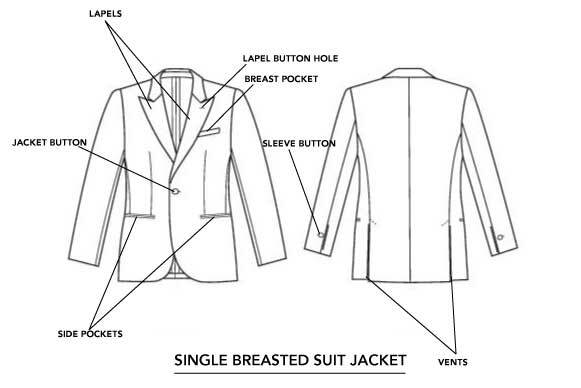 Here, we look at certain details of the suit jacket you need to understand before going further. More details about the single breasted jackets and their button options. You can choose to have a single button, two buttons, three buttons or the 'three-roll-two' jacket (which is often associated with Italian Tailoring). More details about the double breasted jackets and their button options. You will also learn the benefits of choosing a DB Jacket over a Single Breasted jacket. DB jackets have more complicated options for buttoning arrangement compared to SB jackets - but they are easy to learn. 6x2 - which is the most traditional and common - it means there are total 6 buttons and 2 are functional. Then there is then the low-buttoning 6x1, the military-looking 6x3, the square 4x2, the 4x1 and the rare 2x1. Each has a different effect, both in terms of formality and style. At this point, we know the Single breasted and Double breasted suit jacket and their various button arrangements. However, it is really important to know which buttons to close and which buttons to leave open. This can be quite confusing - however - this article (which also has a video) will be your absolute guide anytime you are confused about the buttons. A Must Read! Most often ignored, a trouser is as important as a jacket when it comes to suits. In this topic, we go into the several small details about pants and understand more about things that can be customized to suit your needs. A Waistcoat that comes with a suit (3 pc suit) has a different and shiny fabric behind like silk. Also, comes with a adjusting belt with a loop to make it tighter or loosen it. Just like the suit jacket, it can be single breasted or double breasted. It has similar pocket options as well. For various waistcoat lapel options, see here. NOTE: Waistcoats that are made with the same fabric front and back are usually referred to as Odd Waistcoats and are intended to be worn alone or along with a contrasting sports jacket or blazer. Fit is one of the most (if not the most) important aspect in a suit. It can make a cheap quality suit look good. No matter how expensive your suit is, if it does not fit well - it looks shabby - your money is wasted. In this chapter, we look at the essentials of suit fit as well as cover some tricks you should know. In this topic, we answer the most important aspect of a Suit - How should it fit? There is nothing more complete and thorough (along with helpful videos) than this guide by Mr. Sven Raphael Schneider from Gentleman's Gazette. He covers things that most people tend to ignore. It is the absolute best guide on suit fit. Period. We understand that most people can not go for a Bespoke Suit. Don't worry. Take all the points from this article and apply as many of them as you can when you buy a Custom or a Readymade suit. It is always good to know as much as possible before making an investment in a suit. If you do not know the differences between the three. We go into each of them in a later chapter. This topic covers a few tips and tricks, if you are looking for a quick checklist while trying on a jacket, in a store. We enter the world of fabrics in this chapter. We cover some common suit fabrics, summer specific fabrics as well as a detailed guide on Worsted Wool - the most popular fabric for suits. There is a plethora of fabrics for suits around us. First, let's go into an overview of suit fabrics and cover basics like fabric weight and its implications. In this topic, we cover the most common fabric for Men's Suits - Worsted Wool. We learn about its history and manufacturing process. But, most importantly we learn about Super Nos. Whenever, you go for a suit purchase, you will find brands and companies showing off the Super Number for their wools or other suiting fabrics. This article will dispel the myth about the count and tell you what it really means.. Learn why, a higher super no. is not always better. Most often than not, people tend to avoid suits in summer - especially with places with high heat. The problem can be solved by using the right fabrics for hot weather. The world of colors and patterns is where it starts to get more interesting. We cover the basic and essential colors. We look at some specific colors in details - the versatile & formal solid colors to the more casual ones - to the most debatable color of suit - black. We also cover the most popular suit patterns. Learn which ones are appropriate for a formal setting and which ones for a casual purpose. We are now entering a bit more advanced territory. Choosing the wrong color for the occasion can cause a blunder. Instead, better stick with the more common colors to begin with - Grey (and its shades), Navy, Black and Brown. If you are only looking for solid colors, we will now look at the several options we have and in which order to buy them. We will also look at each of them in terms of their usability and versatility. Stripes and Checks make suits more interesting. We will learn about the most common types of Striped Patterns and Check Patterns. Generally, stripes and checks are more casual than solids. However, pinstripes and birdseye are considered more formal, as an exception. The more lighter and vibrant the color and the more extravagant the pattern the more casual it is. If you stay with the most common suit colors, you would be just fine. However, its good to arm yourself with the knowledge of which colors go better with which skin tone to make more informed decisions while venturing into other - more uncommon colors. In this chapter, we delve into the aspect of quality. We dispel the confusion between terms like made to measure and bespoke, which are often wrongly used interchangeably by companies. 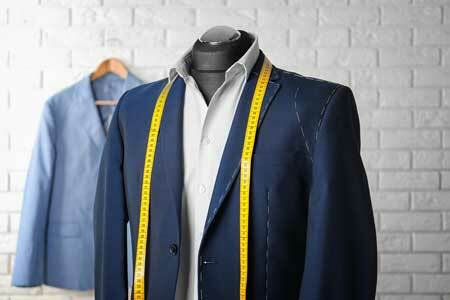 We explore tips and tricks to identify quality in a suit. In this topic, we will learn the clear meaning of each term and how it applies to men's suiting. Using this information as a foundation, you can make informed decisions based on your budget. Its true "you get what you pay for" - but are you paying high prices only for a designer name? Maybe, you invest the same money into a MTM suit, and you would be much better off. If the budget permits - go bespoke - there will be no turning back. Here, we learn the differences between these two common suit price points - their key identifiers, differences and quality hallmarks. You can take these as a guideline or a checklist for your next suit purchase in these budget points. Here, we learn the differences between another of the two common suit price points - their key identifiers, differences and quality hallmarks. 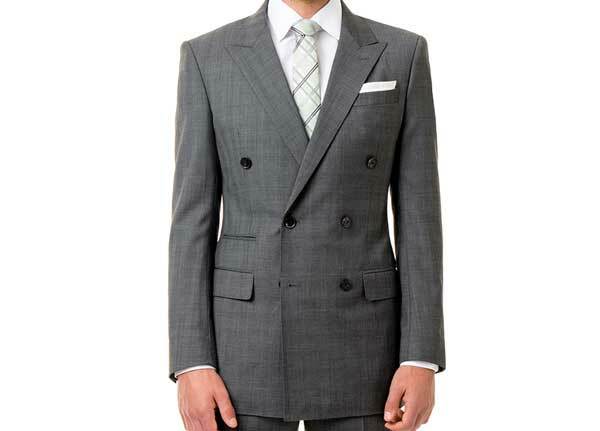 Basic hallmarks of a quality suit - covered as an overview. Are you paying more than you should? These identifiers will help you spot a cheap suit so you can refrain from buying it. Sometimes, brands mark up cheap suits and sell them at really high prices. You should not be falling for that. Instead, by arming yourself with this knowledge of quality identifiers you are more likely to make better and informed decisions. 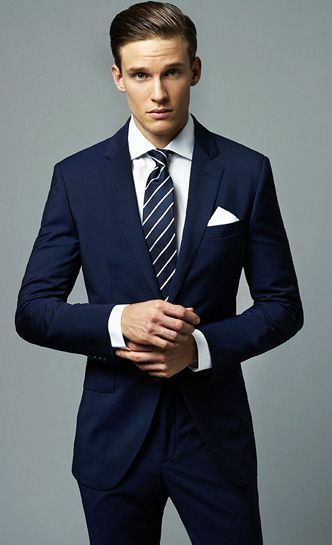 By now, you have learned enough to have a good idea about the suit in general and what you are looking for, in a suit. You have probably decided how you are going to buy the suit. Based on your budget and requirement, you may opt for a readymade suit (and get it altered of course!). However, most people should consider custom clothing. Because a good tailor will cut a suit to flatter the wearer's strengths and hide his weaknesses. It's important to know your measurements, especially if planning to buy online. There are several custom suit suppliers in the market where you can input your measurements, choose your fabric, colors etc and get a custom suit delivered. Hence, it is essential to know how to take those measurements. Some tips before you make an online suit purchase. Good tailors are hard to come by, and the average menswear salesman does not have the knowledge to point you in the right direction. In this article, you are equipped with the tools to find a reputable men’s tailor whose services can transform you and your clothing. In this article, you will get an overview of different body types and what is flattering on which body type. You will find tips for each - Short- Tall - Skinny - Large and Athletic body type. In this topic, we get to know certain choices you can make while buying on a budget to make your suit look more expensive than it is. Bonus Tip: Dress it up! You have all the essential information needed to buy a suit. In this chapter, we cover the guidelines to mixing and matching. We go over accessories like the tie, pocket square, socks, shoes and belt. It is time to complete the look! So we are ready to bring in the accessories. A question that always bothers most men - What tie should I wear? Well, here you will learn the basics of Tie matching and will never be in doubt again. Onto the next level now. Add a pocket square for some extra refinement to your look. Learn exactly how to do it confidently and correctly. Tip: Never wear a matching Tie and Pocket Square combination i.e. same color and pattern. Like in a set. Just Don't. Now, we will learn a bit about the color wheel and color rules. We will see how different combinations of Shirt, Jacket and Tie go with each other with examples and looks for you to take inspiration from. Learn about various types of dress socks and how to combine and match them in coordination with your pants. Match your shoes perfectly with that suit and you will look 10 times better than you already do. See different combinations with visual examples with details about why they work with each other. You always want to match your belt and shoes in terms of color, shade and preferably, even in leather type. Here, you will learn about belts in more detail. Now that we have covered information needed to make a suit purchase and the basics of styling it, we go on to learning about taking care of that suit. Buying a suit is an investment and you want it to last long to get the most bang for your buck! In this chapter, we learn how to do it. Also, if you frequently travel with your suit, you need to know how to pack it, to ensure it does not get wrinkled. 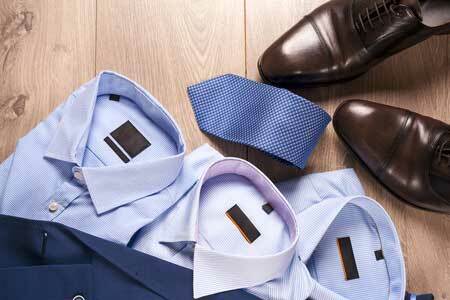 How often should you dry clean your suit? 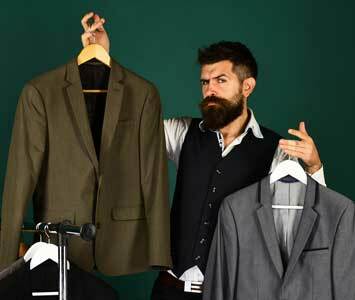 How and when to take a suit for dry cleaning? How to choose your dry cleaner? & how to care for the suit in between dry cleaning visits? All those important questions are answered in this topic. How to press your suit jacket & pants? Sometimes, you got to iron it yourself! For a proper illustration: Watch for Suit Jackets and watch this for Pants. Packing is an art. When it comes to folding your jacket and keeping it in a suitcase, you need to be careful so as not to damage it. Learn three ways to fold the jacket without damaging it. In his chapter, we learn a few different ways to up your suit style. We introduce accessories which go beyond the basics. We also learn how to break suit style rules, but in a smart way. We are now at a stage where we take it to the next level. Breaking from the monotony and how to correctly start bringing in more spark to your outfit. The most advanced stage where you know everything there is to know about suits and now you want to have some fun. We will learn which rules you absolutely must follow and which ones you can break, a little.. If rules are broken smartly and knowingly, they are called Sprezzatura (defined as studied carelessness, especially as a characteristic quality or style of art or literature). To learn all about it - read this article - sprezzatura. Note: This is highly advanced stuff and should be tried only after acquiring few years of experience, at the very least. There you go...You are a Suit Graduate now! With all the essential knowledge acquired, you can be rest assured about buying that perfect suit. If you have any better sources than we have mentioned in this article, do not hesitate to get in touch and we will update the list. Do let us know, what you think about this guide in the comments down below.